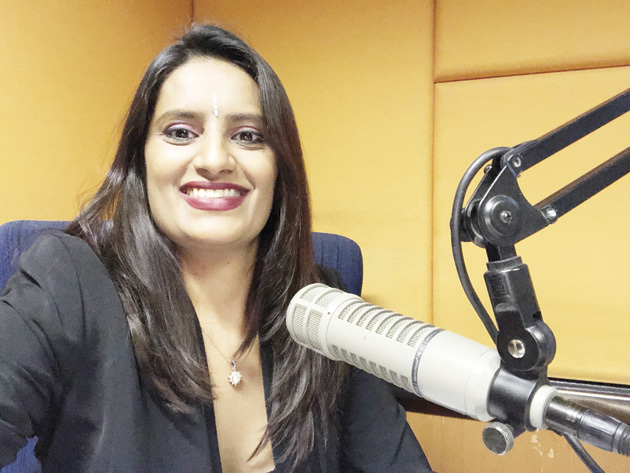 35-year-old Sheetal Cross, is an award winning feature journalist, sports columnist and television presenter. She is the founder of Titanium Media South Africa (TMSA) which she established after identifying a need for Entrepreneurial Media Empowerment Programmes, arising from new media trends. Cross took some time and chatted to Tabloid Newspapers about her success as a media personality and a business woman. Please tell me about yourself and your career background? I was raised in a poor household, with four siblings, making it tougher to live. I was also very badly abused throughout my childhood, but from those experiences, I learned to empower myself with education and be creative to achieve financial independence. At 11, I started my own soap and nail polish distribution business, outselling all my products at a big profit, this is when I caught the business bug, learning about supply and demand. I then noticed a gap in the market, creating pop culture posters, selling them to learners at school for four times the cost of manufacturing them. I had something they wanted and they had money to pay for it. Every extra cent went back into my schooling and books. TN: You bought your own stationary and books? SC: I worked on weekends and went to school in the week, paying for my own stationery and other essentials. I cannot tell you how many lessons I learned through that job. and most of all customer care. Elements which have certainly propelled me forward in today’s world. Despite my humble beginnings, I am proud to be an extremely well-travelled, qualified journalist, with an extensive print media portfolio, across all genres of news reporting since 2005 to date. TN: What is your current job and how does it contribute to your personal success as a journalist? SC: I currently write one of the oldest sports columns in the country since 2015, known as SPORTMatters, for a national newspaper. The column was previously known as SPORTFolio and at the time of the handover, I was 31-years-old. The column previously allowed me to extensively highlight female and disadvantaged athletes. TN: What has been your career highlights? SC: In 2016, I was a finalist in the category Women in Print Media, at the GSport Awards, Johannesburg. The televised ceremony viewed by millions of South Africans was created and hosted by Kass Naidoo, through her phenomenal organisation; Girl Sport. Two years earlier, I had filmed and presented a show called Trace Sports Stars international, whose televised series was featured in approximately 132 countries. TN: Journalists travel a lot, which countries have you been to? Dutch-born American author, Dr. Jeannette Vos. TN: In your 15 years of journalism, do you feel that the industry has changed? SC: Previously, media agents (sender) would set the news agenda and receive limited feedback from the reader or viewer (receiver). Vast technological changes have now accorded the audience the opportunity to respond, react or act more quickly to or on information. Societies globally, now have greater access to information, allowing individuals to make more informed decisions on a myriad of issues. The audience is also now in a position to dictate their wants and needs in terms of information, instead of being told what they should or should not know. TN: If you could change a few things about the media industry what changes would you make? SC: I currently aim to propose new legislation that will help govern social media and the rampant affects unverified information has on South Africa, through these platforms. I have engaged some of South Africa’s top legal minds to assist me with the process. I believe strongly that there should be stricter guidelines and a code of conduct for all social media users, as well as a greater awareness of how to use the platforms in a way that is not harmful to children and other citizens. TN: Having achieved so much in your career path, what are your long term and short-term goals? SC: I feel like I haven’t achieved enough lol. When I feel that way, I take a moment to be grateful and reassess my time and objectives. At present, I am fully committed to finishing my Masters in Journalism at the Durban University of Technology this year, with a view to starting my PhD in Media Studies next year. TN: If you were to choose to be on the field as a reporter and conducting such seminars which would you prefer and why? SC: I really wouldn’t be able to comment on a choice, because both roles are essential, playing a part in keeping society informed and making a difference to various people. TN: How do you juggle your schedules, at home, work and socially? SC: As a mother of two, masters student, entrepreneur and doting wife, I use time management and technology to stay balanced between work and family commitments. I always put my children first and since I love cooking and learning new recipes, I usually include them in those experiences.